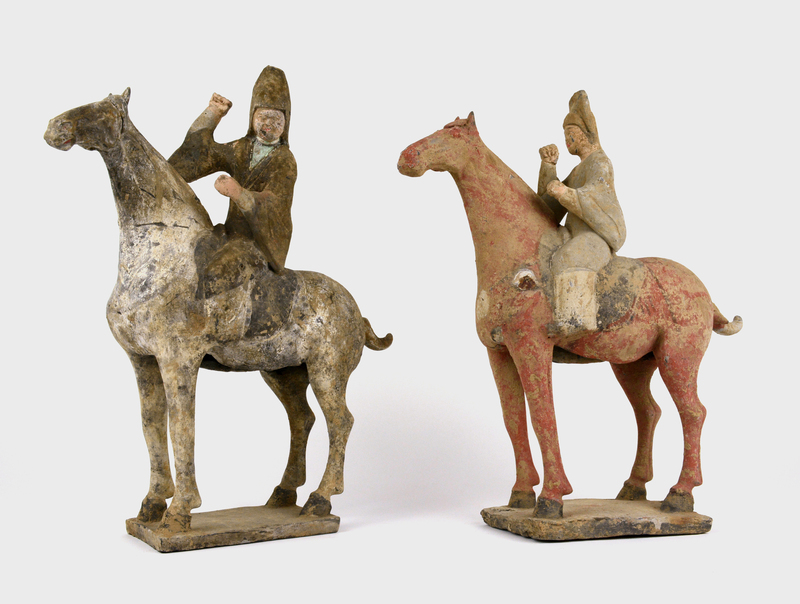 W: 4.0" D: 9.0" H: 11.0"
These dignified equestrians are soldiers from Northern Qi Dynasty, and were sculpted in Shandong Province over 1,500 years ago, probably for a wealthy Chinese nobleman. 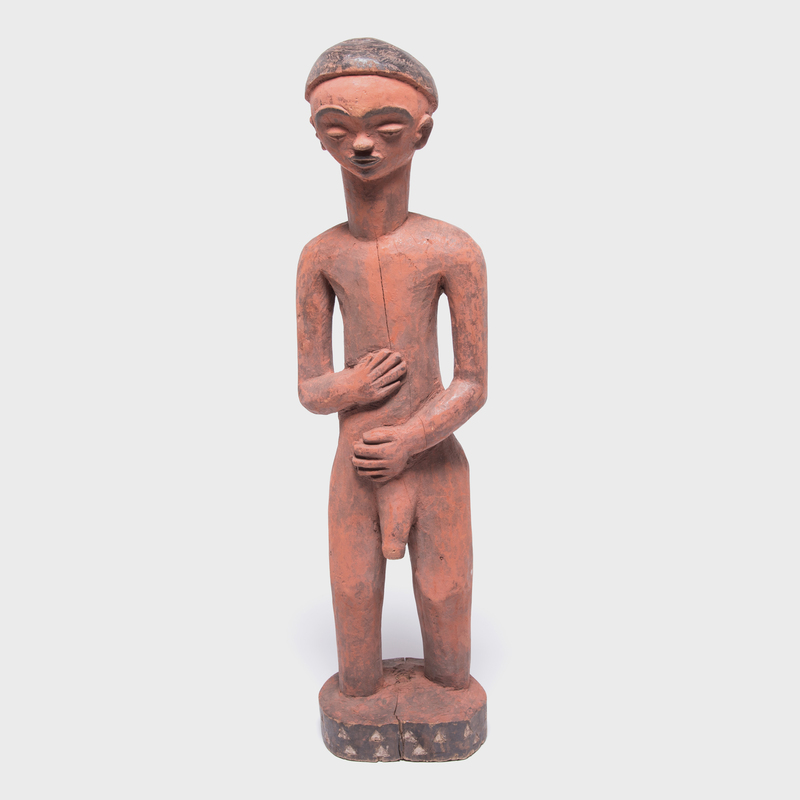 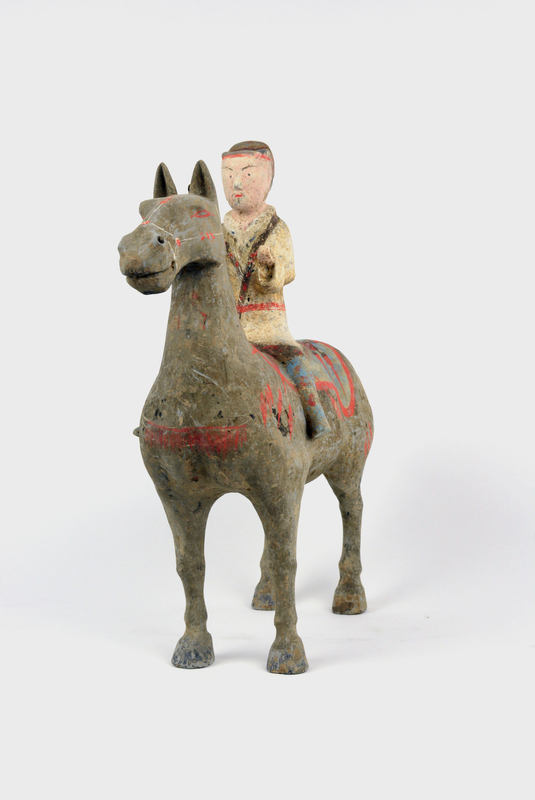 The rider’s mild, tranquil expressions, and horses strongly curved necks and straight legs are characteristics of sculptures from this period. 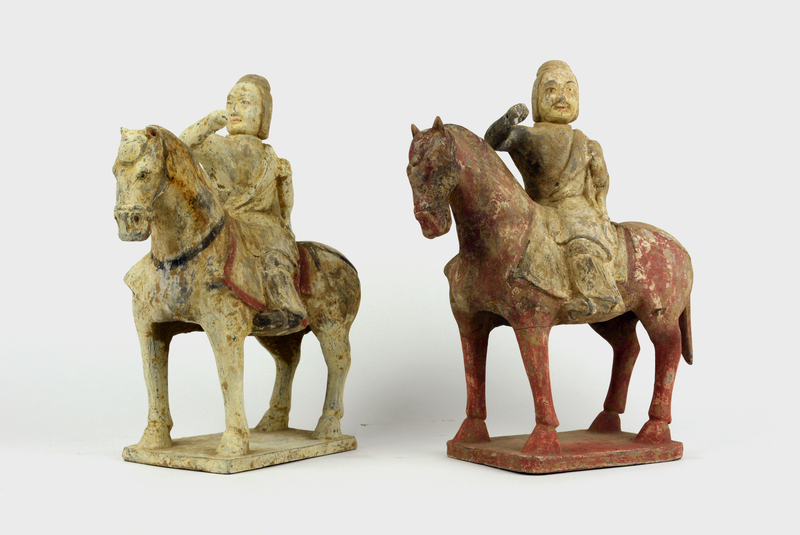 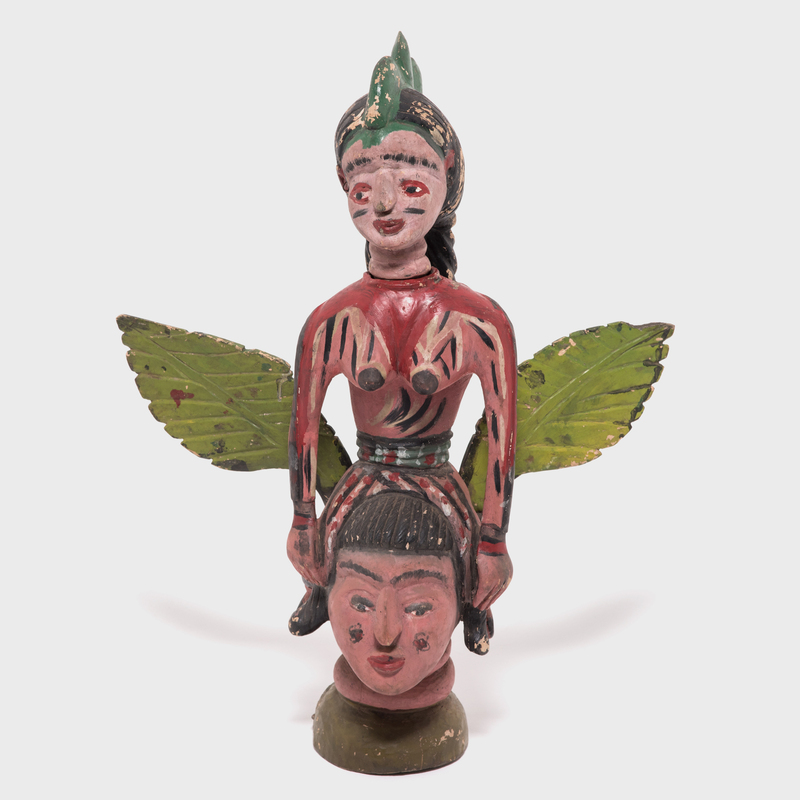 These details give both the soldiers and their mounts a strikingly dignified bearing.